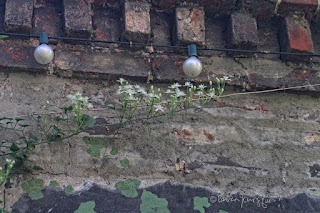 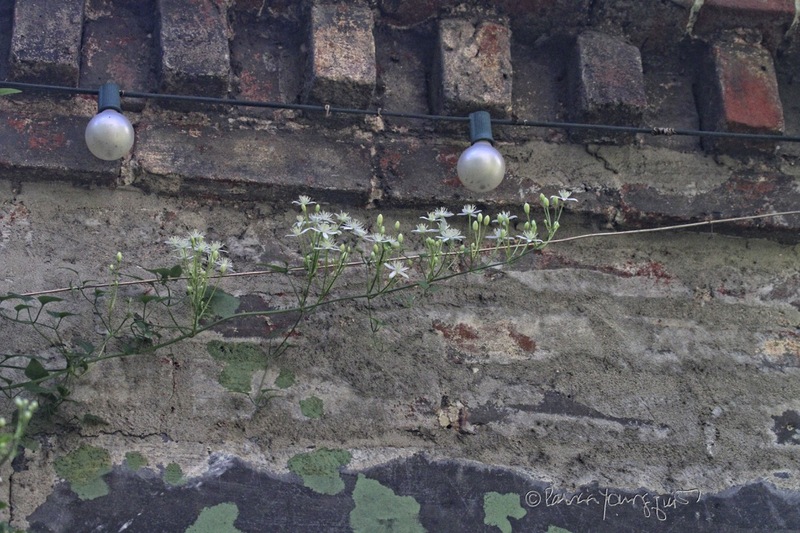 Some (there are many more which are off camera) of this vine's new buds and flowers (seen in the image atop this entry and in the pictures directly below) have been featured in a number of posts here on Blogger. 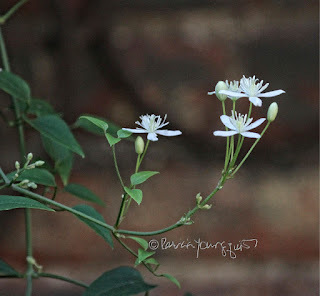 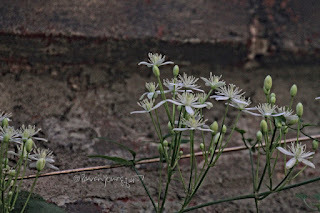 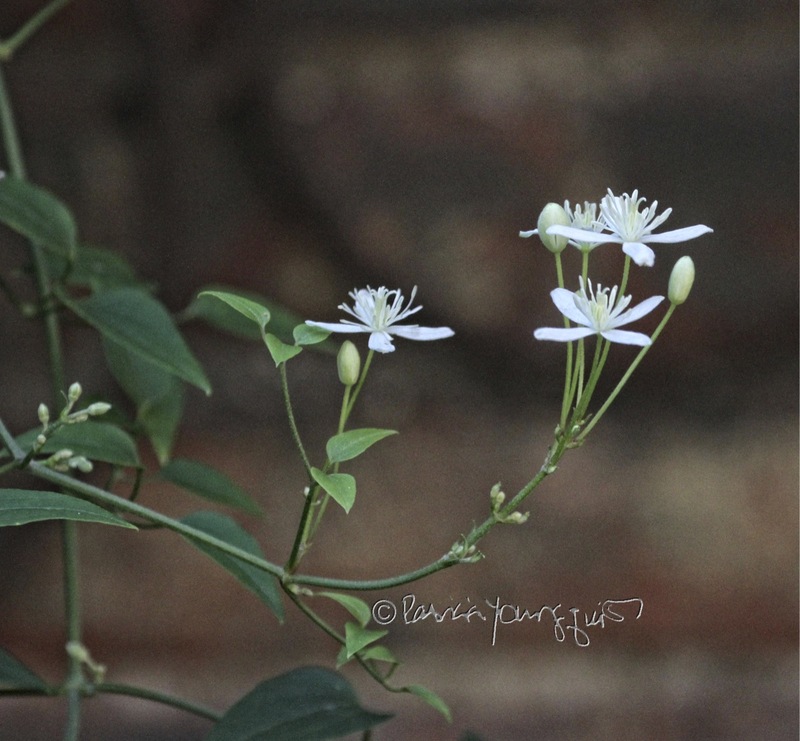 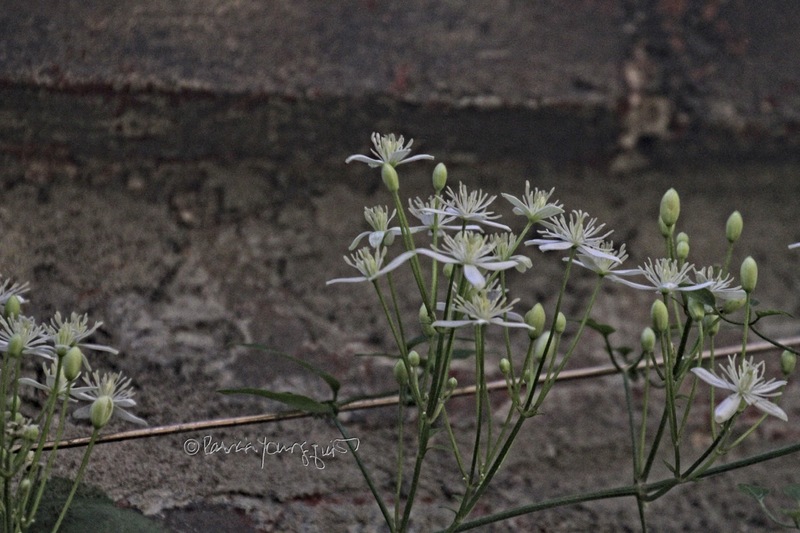 The flowers may look delicate, but they are very hardy, especially when you realize that my Autumn Clematis has endured being upended for two garden "renovations." 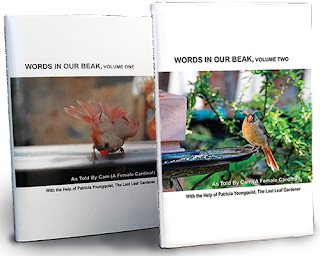 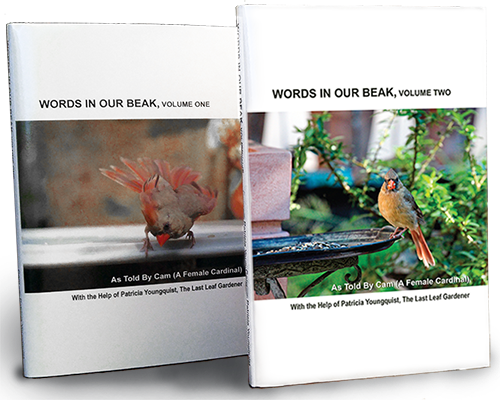 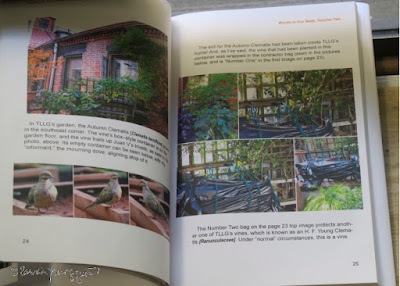 Attributes of this lovely vine as well as how it was prepped for my one of garden's upheavals is featured in volume two of my Words In Our Beak book series. 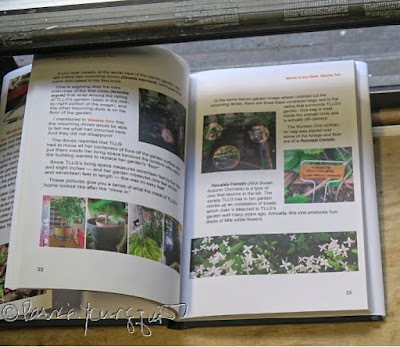 This can be a tremendous resource/gift for urban gardeners who may find themselves and what they grow to be in similar circumstances; but it also satisfies the curious who want to know what goes on in NYC gardens, including prepping the place for winter. 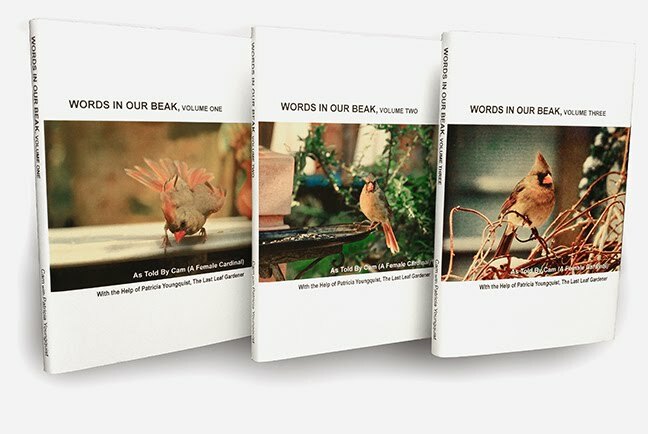 Meanwhile, if UPS is true to their "promise," I should receive volume three (for purposes of my giving it a final review) tomorrow, Monday, October 1 2018. If there are no errors, I can make it available to wherever books are sold. Here's a sneak preview of the cover.